In almost every Belgrade’s hotel categorized with 4 or 5 starts, you will find a solution. Most of those Hotels offer quick laundry services. 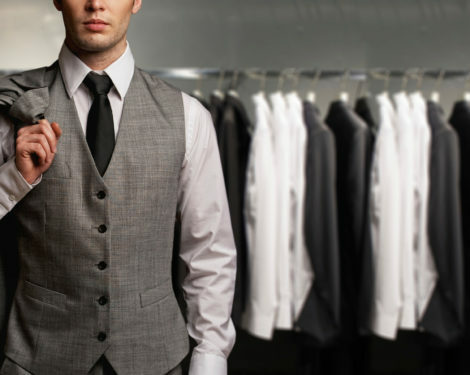 If all of this is just to complicate for you, we recommend you to rent a suit in Belgrade. If you are staying in private apartments or in hostel, and if you are lucky to have a washing machine over there, sometimes you are limited with the time. Who wants to spear couple of hours in Belgrade on washing the clothes? Over 10 years in business, this is one of the most professional laundry shops in Belgrade! And the most important thing is, they do everything! Conversation will start with making arrangements with them when to pick up your laundry. You can get in touch with them on-line or by calling them. Bianca service works 24/7, and they use professional and semi-professional machines. Each piece of clothing is carefully treated with quality commercial products. Ironing is performed with state-of-the-art professional irons and roller that are operated by a qualified staff. 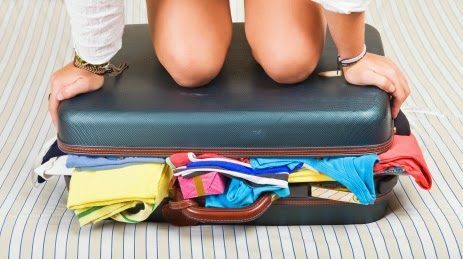 By delivering cleaned, neatly packed and fresh smelling laundry to your address at a time convenient for you, they make this stressful chore easy. Laundry cleaning service “Laundry Shop” does professional laundry cleaning, drying and ironing. Using machines of varied capacities, they specially sort every client’s peace of laundry according to the type of fabric. If you would like to shorten, expand or narrow your clothing item, they have tailoring shop as well! And if you need a bad zipper replacement, don’t hesitate – you are in the right spot. They use different capacity washing machines for each customer separately classified by the type of fabric, dirt, and the way the stains that cannot be washed in a regular washing procedure. This laundry shop is using highest quality enzymatic products without the use of sodium and chemicals that damage the fabrics. They provide services of washing, drying, ironing and laundry delivery. If you are more into doing your laundry by yourself, we do have solution for that as well! This is the first and, for now, the only self-service laundry in Serbia, which brings a simple solution for the laundry, with a minimum investment of time. Their goal is to make laundering easily accessible and comfortable, and this is the advantage of such a services. 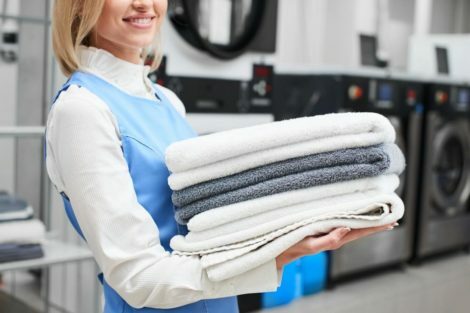 With good prices of laundering, there are additional benefits to the users such as free detergents and softeners for laundry, as well as a pleasant place to wait while your laundry is done. It is equipped with 8 professional machines capacity of 11 and 18 kg, four of which are intended for washing and four for drying. The machines use detergents and softeners that are in accordance with HACCP standards, a complete process of washing and drying machine lasts 45 minutes. For those who are not experienced in the use of a washing machine, there is specially prepared detailed instructions and rules. Opening hours of Ves House is every day from 08 to 22 hours. Maybe for a meeting you need to be suited up, or maybe you need to attend a weeding, or just want to explore Belgrade nightlife as a posh gentleman, and you ended up with your suit messed up in the suitcase. Don’t worry, we got ya covered, there are dry cleaning places at almost every corner in town! Hemobile is a professional, modern and contemporary shop with tradition. The experienced trained team, with the aim of satisfying customers for the highest vision of perfect and exquisite taste who appreciate quality. They are not just among the best in dry cleaning business , they are also known for Textile dyeing and leather cleaning and fur coats using the latest technology. They also have a tailor’s service, repair and overhaul of clothing at affordable prices. This is a large and respectable dry cleaning and laundry chain. It is located on 7 locations in Belgrade, in almost every part of the town. Fresh Express is able to extensively micro-sort to specific garment types and for individual fabric type, color design and weight to maximize care and cleaning effectiveness. When you get all dress up, and if you want to meet some cool locals, check out some of the most popular coworking spaces in Belgrade. If you want to go out and party, don’t forget to what’s app us +38162337700 in advance. We will book for you easy entry and good located table in the heart of the party. On the top of that, our service is FREE of charge.